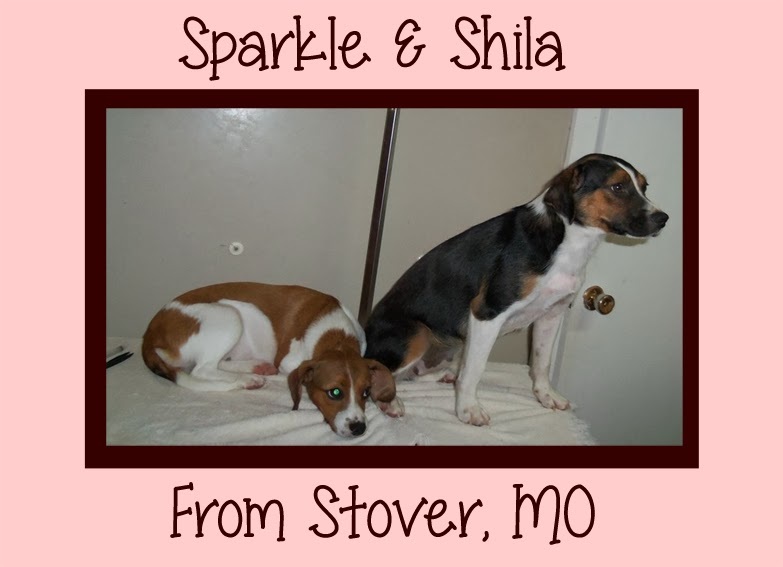 Sparkle and Shila are only one year old and weigh about 18 pounds each. They were found abandoned this summer when the "rents" moved and left these two (and I am guessing sisters) to fend for themselves. These two young ladies are some type of Terrier mix and ready to find someone to spend the rest of their life with. I imagine they could be adopted separately, but how wonderful if someone would take them together, since they have always been a twosome. If you or anyone you know would like a young and small dog check out their Petfinder bio here. Stover Animal Animal control is a rural shelter in Missouri east of Sedalia on HWY 52.